M2 Heavy Gun Replica Desk Display | BUDK.com - Knives & Swords At The Lowest Prices! 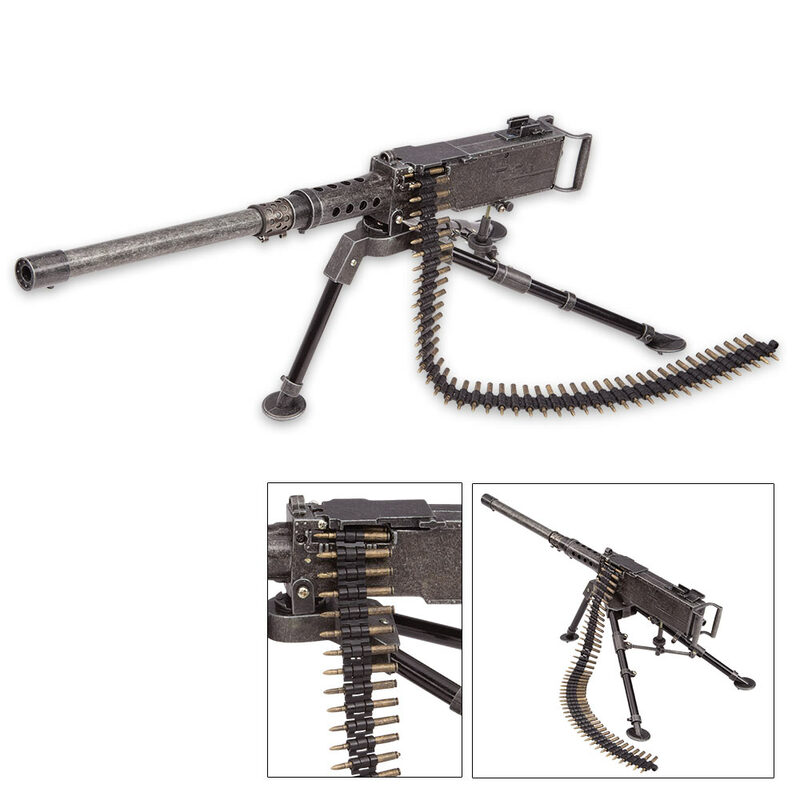 Our M2 Heavy Gun Replica Desk Display is a spot-on reproduction of the historical gun that looks great displayed in your home or office. 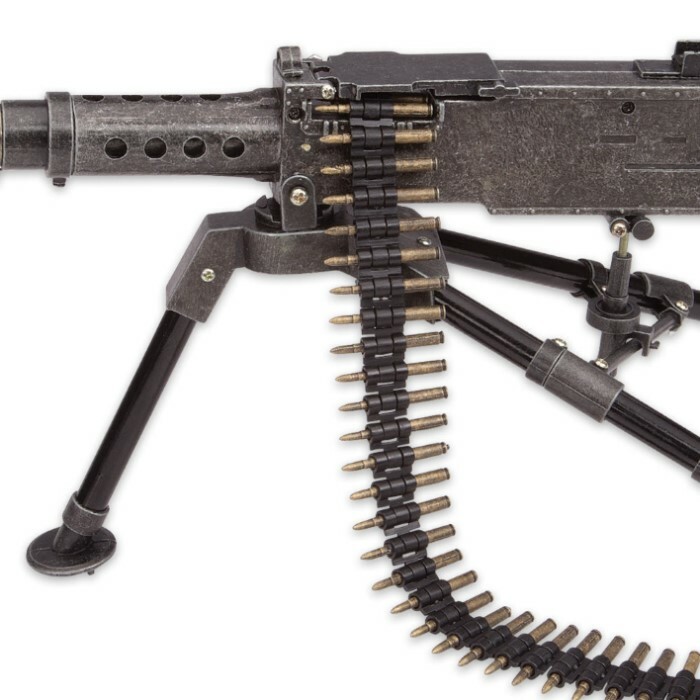 It has been constructed from alloy with a steel barrel and the sight, cocking mechanism, and ammo cover features movable parts. 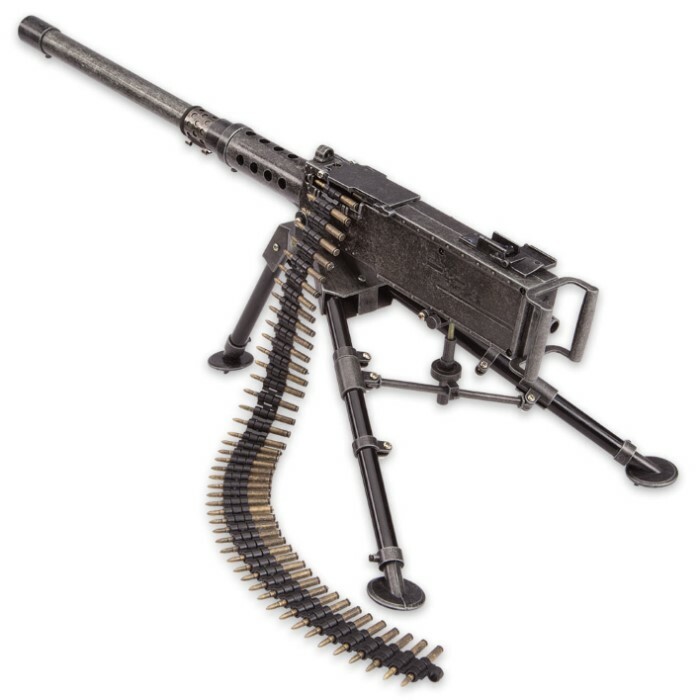 The M2 is mounted on an alloy tripod and a belt of replica bullets is also included. 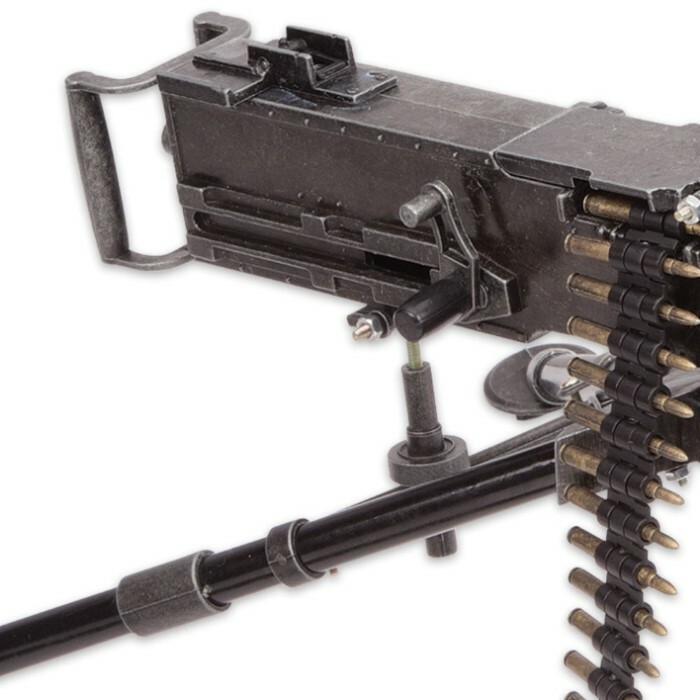 Best of all, though, is that the miniature makes firing sounds which are activated by an on/off switch on the side of the gun!